2.High efficiency at the process of drilling. 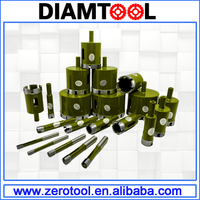 3.Good quality with competitive price for our diamond drill. 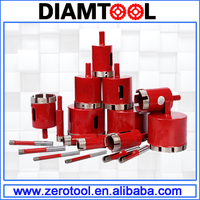 4.Widely use to drilling many kinds of stone. 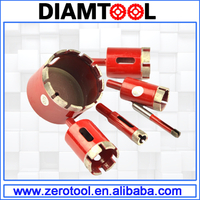 5.Drilling smooth and fast with our segmented core drill bit. 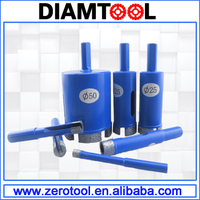 6.Long lifespan with our stone drill tool . 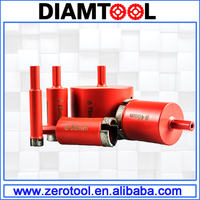 7.Our segmented core drill bit use safe. 8.Longer lifespan with sharper type. It is available to manufacture as customer's requirement. 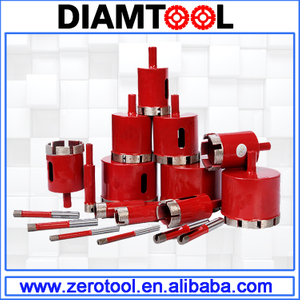 1)Each diamond Core drill is packed in an inner cardboard case, and then several of these inner cases are put in an export standard carton; then reinforced with straps. 2)Normally we can make shipment within 15 days after receiving your payment. 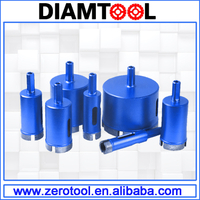 TongLing ChangJiang Diamond Tools Co.,Ltd. is located in TongLing city, AnHui Province. Our company is only one hour's drive from the breathtaking Mount Huang and twenty minutes' drive from Mount JiuHua which is one of China's most famous Holy Lands of Buddhism . Our company was founded in Sep. 2003. We have independently researched and developed more than 10 models of concrete drill machines ,multi-functional core drill machines(drilling,cutting,polishing), concrete cutting machines , polishing machines ,gasoline driven drilling machines. 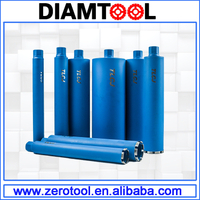 We produce more than 50 specs of diamond core bit (¢8mm-¢400mm)with different grades of qualities. 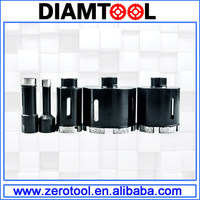 M10 Diamond Core Drill Bit for Stone Drilling and Cutting"